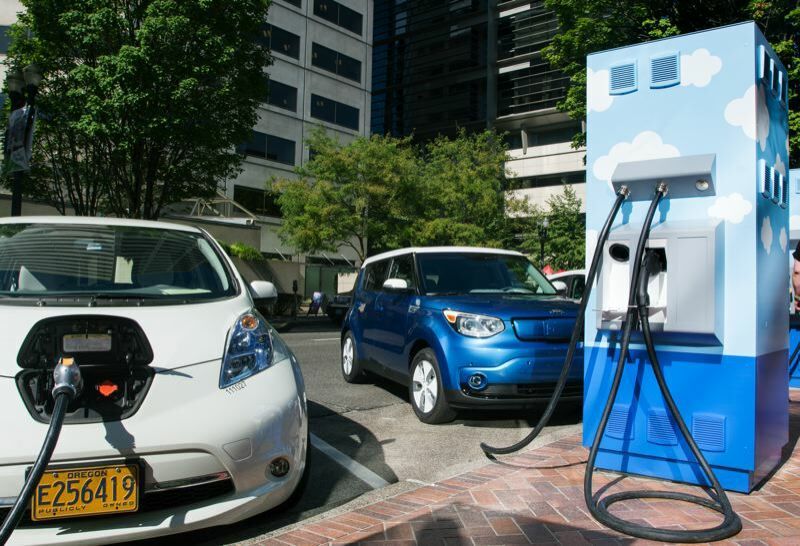 Oregon U.S. senator co-sponsors Zero-Emission Vehicles Act to require end to gas car sales by 2040. Oregon U.S. Senator Jeff Merkley and Rhode Island U.S. Senator Sheldon Whitehouse introduced legislation on Wednesday they said would put the country "on the path to achieving 100% zero-emission vehicles (ZEVs) in the coming decades." Both senators are senior members of the Senate Environment and Public Works Committee. According to Merkley's office, Merkley-Whitehouse legislation, known as the Zero-Emission Vehicles Act, is intended to build on the movements of 10 states — including California, Oregon, Maine and New York — that have enacted state-level ZEV standards. Much like renewable energy standards, these ZEV standards require a certain percentage of new vehicles sold in the state to be vehicles that emit no carbon pollution, such as fully battery-powered electric or hydrogen fuel cell vehicles. "As the National Climate Assessment spelled out in stark, disastrous detail, we have no time to waste in taking on climate chaos," Merkley said in a prepared statement. "To save our economy and our way of life, we have to aggressively reduce carbon pollution. Since transportation is currently the largest source of carbon emissions in America, we must address that challenge head-on and drive the transition to zero-emission vehicles. This will also make America a leader in clean energy vehicle innovation, positioning us to create great manufacturing jobs right here at home." Although Oregon Gov. Kate Brown has promised to triple the number of electrified vehciles in the state by 2020, sales of all-electric and hybrid vehicles have continued to lag because of their higher prices and continuing relatively low gas prices. Even federal tax credits of up to $7,500 and a state rebate of up to $2,500 on such vehicles has not yet made much difference. According to Merkley's office, the Zero-Emission Vehicles Act would set a Federal Zero-Emissions Vehicle standard to boost the market for battery electric vehicles and hydrogen fuel cell vehicles. The standard would require that 50% of all new passenger vehicles sold in 2030 are ZEVs, and ramp up 5% each year to 100% by 2040. The ZEV standard is only applied to the sale of new cars. By reaching 100% of new car sales in 2040, the vast majority of used cars would be ZEVs by 2050. Transitioning to zero-emission vehicles benefits both the economy and public health, the office says. According to a 2016 report issued by the American Lung Association, transitioning to zero-emission vehicles would deliver $33 billion in total health and climate savings by 2050. The 90% reduction in the pollution that causes smog and soot would translate to 195,000 fewer lost work days, 96,000 fewer asthma attacks, and 2,200 fewer premature deaths. Like the existing state ZEV standards, the Federal ZEV standard would include a crediting system, the office says. Each ZEV would receive one ZEV credit per vehicle. Plug-in hybrids and hybrids receive partial credits based on the estimated average portion of mileage traveled on the battery instead of fossil fuels. Fuel efficient vehicles can receive partial credits based on EPA's estimated fuel savings. ZEV credits would be allocated to auto-manufacturers, and can be sold or banked for up to 5 years, until 2040. Revenues from the sales of ZEV credits will help support public infrastructure through the Highway Trust Fund, the office says.